This week, in the few snatches of sunlight, I’ve been photographing some Easter items. I’ll be adding the cards to my Not On The High Street shop tomorrow, the notebook is already listed there, & you can find the necklace over on my Esty! 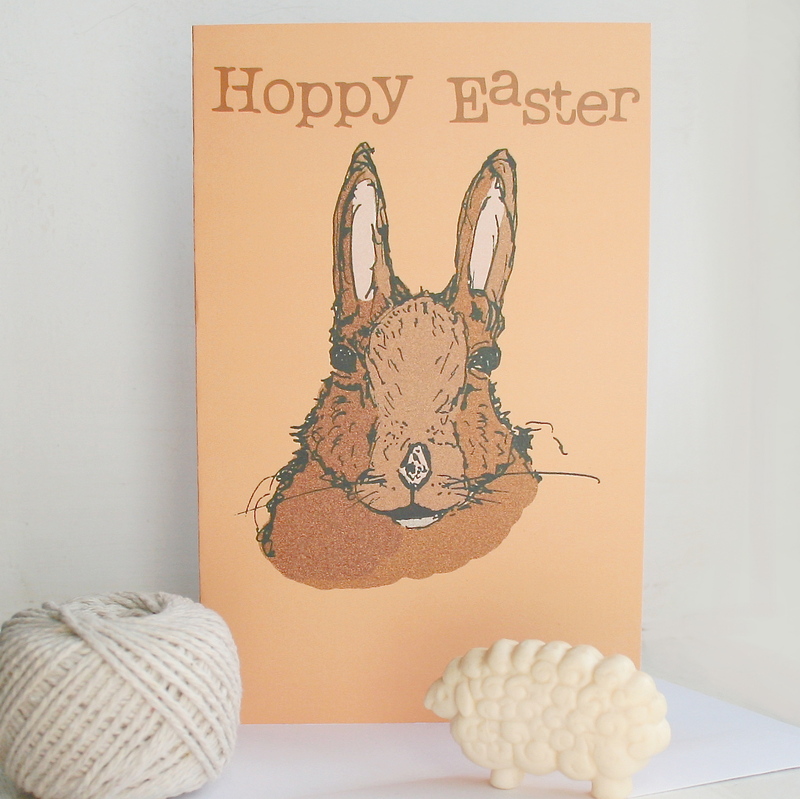 Have you been making any Easter-based crafts this week? Head over to Handmade Monday & lots of other fabulous craft blogs! Aw thank you very much 🙂 It’s nice to know the designs stand out a bit! 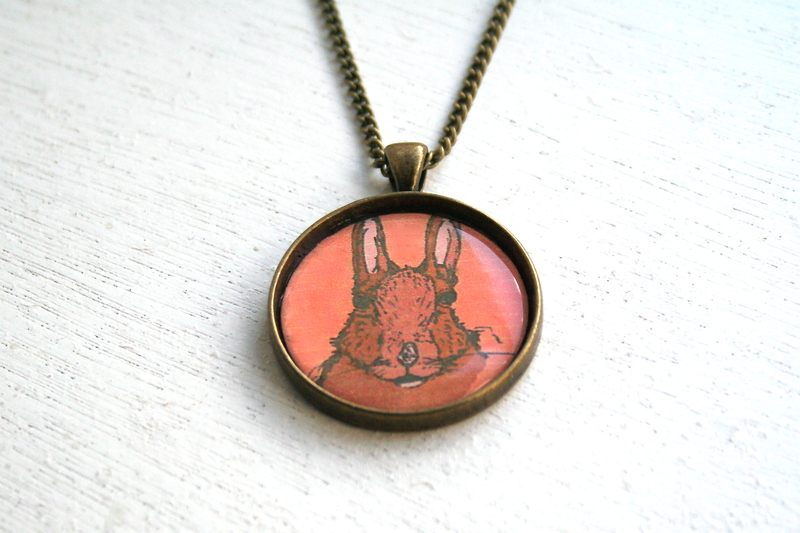 Love that bunny pendant! I have been making bunny things too this week. Your panda is very impressive – looking forward to seeing the finished zoo in all its glory! Just popped over to your blog for a look – really cute! 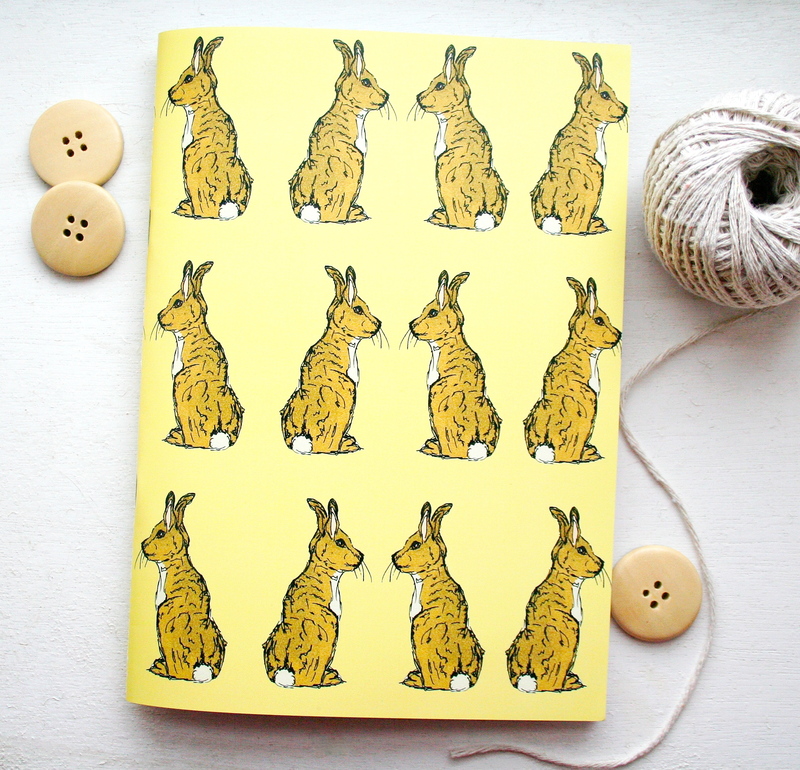 I love your bunny cards, and the notebook would make a great non-chocolate Easter gift. The facing bunnies remind me a bit of Watership down. Ooh really? I’ve only ever watched it once. Lovely cards and the pendant is gorgeous. Hope you have a good week.